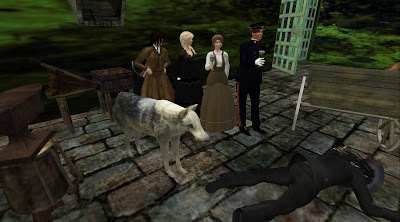 They wanted a combat system and "consequences" at the House of Usher. And they got me killed. For THEIR final exams! The dog did it. The students' avatars toast my demise with Absinthe.